Published on 20 January 2012. 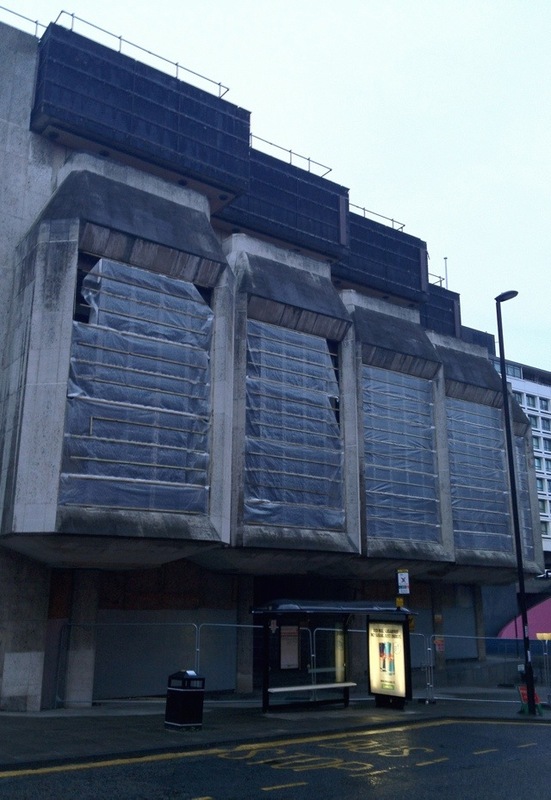 This sad-looking Brutalist monolith is the former Newcastle-upon-Tyne branch of the Bank of England. It opened in 1971, and closed in 1997 when the Bank restructured. It is to be demolished shortly, but – interestingly – the former gold bullion vaults underneath it are too strong to viably demolish, and so are to be left in place. I would have thought that vaults of such strength would be enormously valuable to someone for something – even repurposed as a strong-walled emergency command centre or similar – but there they are, lying empty. And, it seems, there they will stay for many years to come! This 1,490th post was filed under: Photo-a-day 2012, Architecture, Brutalism, Newcastle-upon-Tyne.